After winning the toss, Rajasthan Royals decided to field first. KL Rahul started very cautiously as Chris Gayle took the attack to the bowlers. Gayle fell in the 6th over for 30 as Agarwal came in and got going straight away as got a quick 26 from 12 balls. Rahul and David Miller then combined for a 85 runs partnership as Rahul also started to push his scoring rate. 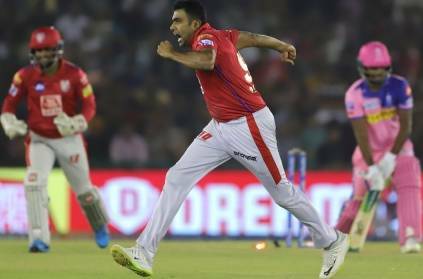 After Rahul fell for 52 and Miller for 40, Rajasthan were looking to finish well, but R Ashwin, in the end, got 17 off just 4 balls to take Punjab to a very good score of 182. The Rajasthan Royals in return started off well with Tripathi and Buttler and the carried on with a good partnership with Samson when Buttler got out. R Ashwin provided the important breakthroughs at crucial stages picking up both Samson and Tripathi who were set. Rahane came in at 4, but couldn't keep up with the scoring rate as it was constantly increasing. Stuart Binny's blistering innings of 31 off just 11 balls was entertaining but it was all too late. The Rajasthan Royals will be looking at their bowling innings where they didn't finish off very well. They also missed the trick tactically as Rahane came out to bat at 4. With the increasing required rate, they could have sent likes of Turner or Binny earlier. The Kings XI Punjab, on the other hand, will be happy with their performance with bat and bowl and will hope to continue with this momentum. This page contains news relating to various facts and events. The views are generally about current affiars and general topics in diversified areas such as political, international, national, and regional issues, sports, health, travel, lifestyle, technology and business. People having similar interets on the above topics will find this page useful. KXIP win over RR | Sports News.